Copyright restrictions prevent us from publishing individual images of the 72 Diane Arbus works included in the ARTIST ROOMS collection. Diane Arbus (1923-71) is among the most revered photographers in the history of the medium. A pioneer of the social documentary form that blurred the line between art and reportage, her profoundly original works record the astonishing variety of attitudes, emotions and appearances to be found amongst the people around us. Her portraits of children, circus performers, nudists, families, famous people, transvestites down-and-outs and couples are united by their sometimes shocking directness. This frank, unflinching approach reflects Arbus' method, which relied upon a sense of trust between the artist and sitter. Arbus studied photography during the 1940s and '50s in New York and her first published photograph appeared in 'Esquire' in 1960. She began making portraits in the early 1960s, and was the recipient of two Guggenheim Fellowships, before embarking on a project to create a series of limited editions of her work in 1970. Tragically, she committed suicide in 1970, shortly after the first 'Box of Ten' was produced. Fewer than 10 known copies of this work were printed before the artist's death, making the body of work in ARTIST ROOMS - put together in collaboration with the artist's daughter and the trustees of her estate - one of the best collections in existence in public or private hands. 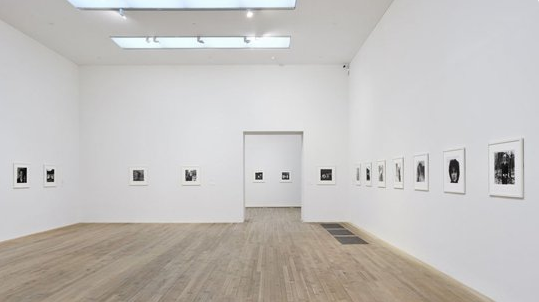 ARTIST ROOMS: Diane Arbus, National Museum Cardiff. 'Artist in Conversation' with Martin Barnes and David Hurn. Thursday 9 July 2009.